Few miles different at the start to see slightly more interesting things. 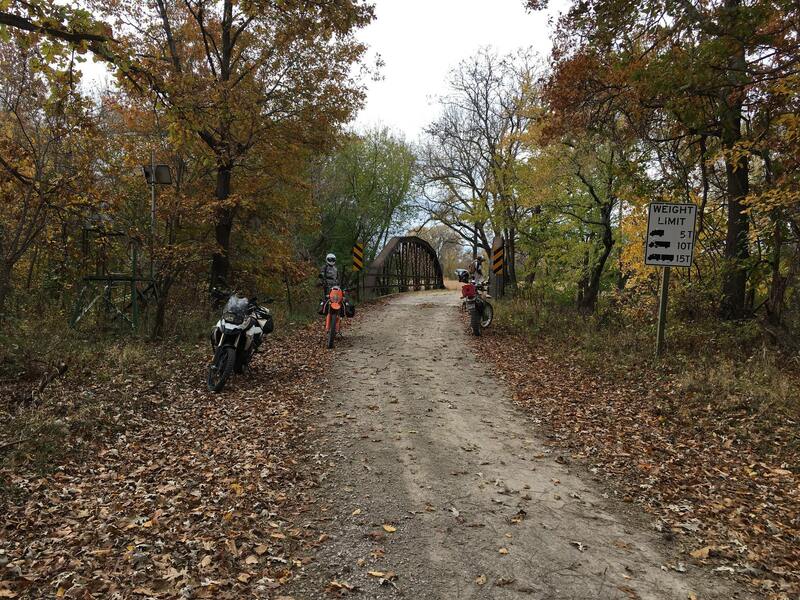 I got to enjoy 41 to 44 degrees during my 62 mile ride to the 8:00 starting time in Williamsburg, KS. Yes, I cheated and used my heated gear. The weather treated us very nicely as it warmed up to 60 or so with hints of sun here and there. No rain. Only hiccup during the ride was a flat rear tire on a DR650. The valve-stem sheared off causing an immediate total flat and the bead breaking. I was directly behind--it was scary, but he kept the bike upright for a safe stop. At the end of our ride, we enjoyed some very good ribs at Guy & Mae's! Thanks to my 124 miles RT to Williamsburg, I enjoyed 252 miles for the day on the F800GS. Good times!